Firecracker I bet, sadly no longer made. for such a small cigar. That's what I was thinking as a possibility too. Did the cigar have a long "tail" coming off the head? for such a small stick was real nice. They were awesome! Wish they would come back. I wonder why they stop making them. 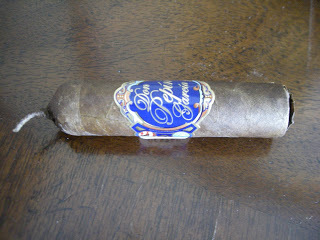 2guyscigars.com LaFlor Dominicana has made a version available only there. Same size and pretty tasty. Tasty but not DPG tasty imo. 2guys has another version made by Fratello Cigars. I can't tell you how they taste. Last edited by Tio Gato; 03-07-2018 at 05:29 PM. I can't tell you how they taste. He's just keeping it to himself. Never had one fellas. That's why I can't tell you. I hope they taste like DPG's. I may pick some up Friday. Will let you know. Because it was a limited edition for the 2 guys smoke shop. I hope so, just ordered a few and a few of their house blends to try. Please post some 411 on what you think of them. I would not mind buying some if they come close.